It's been a really long time since I did an episode of Kat's Crazy Kitchen and for that, I fully blame my mom. I gave her a guilt trip this weekend and we worked together to bring you a new episode. 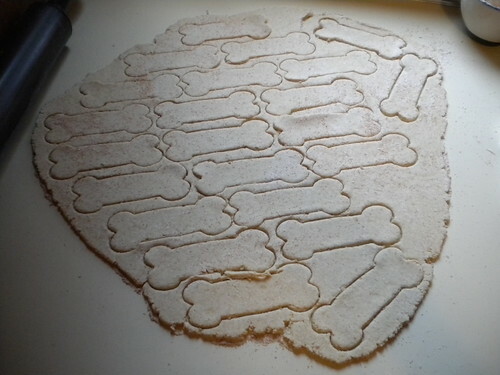 Today, we're going to make New York Style Pretzel Bones. First, gather up your ingredients. 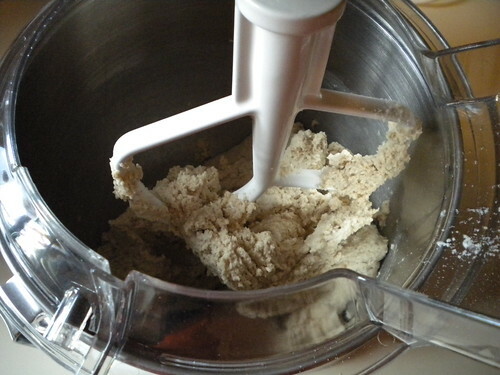 Mix up 1.5 cups of oat flour, 1.5 cups of brown rice flour and 0.5 cups of oat bran. Add to that 0.5 cups of grated parmesan cheese, 0.25 teaspoon garlic powder, 1 egg and 1.25 cups chicken broth. Mix everything up to form a soft dough. 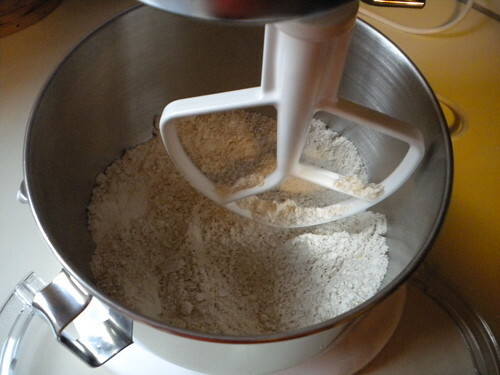 Roll the dough out on a floured surface to about a quarter of an inch thick. 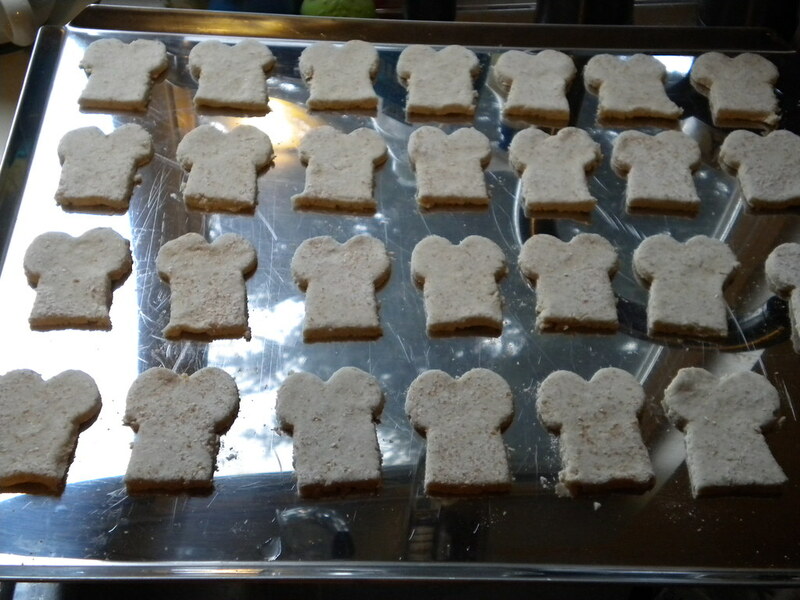 Use a cookie cutter to cut the dough into your desired shape. Place the cookies on an ungreased cookie sheet. My mom cuts the bones in half, but hopefully your mom isn't stingy and will give you the whole bone. Bake at 350 degrees for 25-30 minutes. Let cool on a wire rack and store in the refrigerator. These cookies were very easy to make. The dough rolled out nicely. You can also brush the cookies with egg and top with sesame seeds if you want to make them more pretzel-like, but we did not do this step. As you can see, Steve and I were eager to try the cookies! We both give them two paws up. Hopefully it won't be as long before I do another Kat's Crazy Kitchen episode. 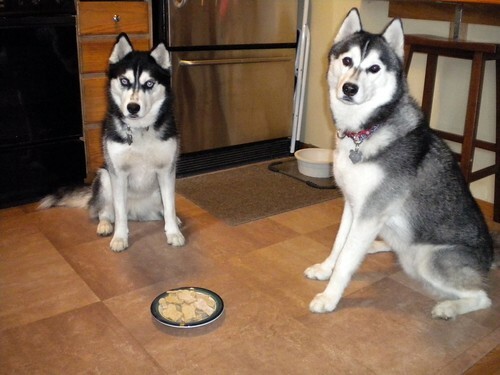 In the meantime, try out the recipe Shiloh and Shelby posted on their blog. It looks really tasty.